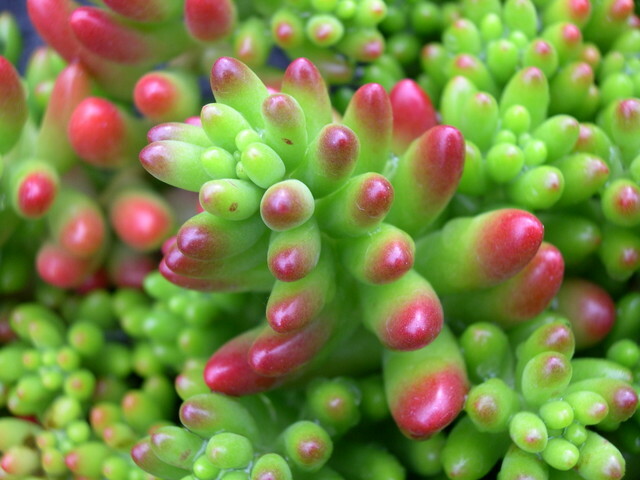 Jelly bean-shaped leaves are a bright green turning cherry-red, starting at the tips and traveling down the leaf, when they are dry or are in a hot sunny location. Grows to approximately 9 inches tall. New plants can be started from cuttings or from individual leaves being set on soil.